There have been 1.4 million firearm deaths in America since 1968, compared to 1.2 million deaths in war in our entire history. There are 30,000 deaths each year from gun violence. This horror is made possible by easy accessibility to guns. 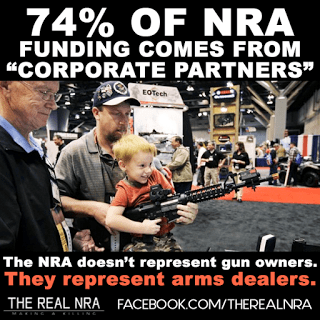 And that is made possible by the power of the gun lobby in Washington. Our country is being devastated by the needless deaths of the innocent. All in the name of profit. That must change. On December 14, 2012, 20 children died at the hands of a lone, young gunman. He had obtained the guns from his mother, whom he murdered. She obviously believed those guns made her safe. The laws made it easy for him to obtain and kill many people. Former Pennsylvania Gov. Ed Rendell decried federal lawmakers for failing to pass a permanent ban on assault weapons, such as the one used in Friday’s deadly Colorado movie theater shooting. It worked before. From 1994 to 2004 we had a ban on assault weapons. And during that period the homicide rate declined where previously it had risen. Another study, in 2003, found that counties with higher levels of household gun ownership have higher rates of household burglary, not lower. Burglars like to steal not only cash and jewelry but also guns. A homeowner with a collection of firearms may not want to advertise that fact. …More than 42% of the time, the victim took some action — maced the offender, yelled at the offender, struggled, ran away, or called the police. Victims used a gun in less than 1% of the incidents (127/14,145). 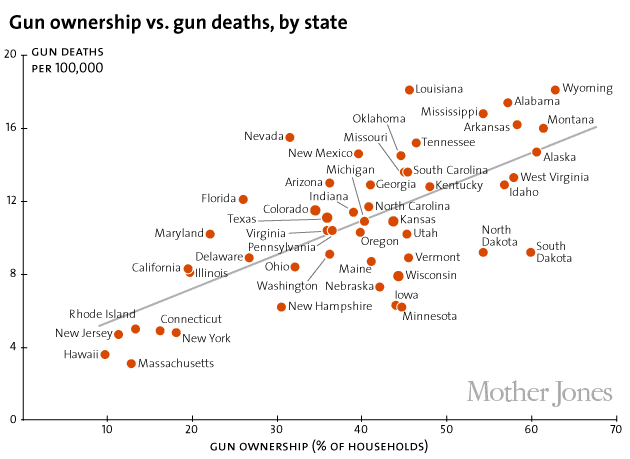 In other words, actual self-defense gun use, even in our gun-rich country, is rare. It is sometimes claimed that guns are particularly beneficial to potentially weaker victims, such as women. Yet of the more than 300 sexual assaults reported in the surveys, the number of times women were able to use a gun to protect themselves was zero. Texas Republican Senator Kay Bailey Hutchison, a strong ally of the National Rifle Association and its legislative priorities, told CBS’s Face The Nation on Sunday that she could support tighter regulations of high-capacity magazines in the aftermath of the shooting in Newtown, Connecticut. federal prison for his shooting rampage in Tucson. That tragedy left six people dead, more than twice that number injured and a community shaken to its core.